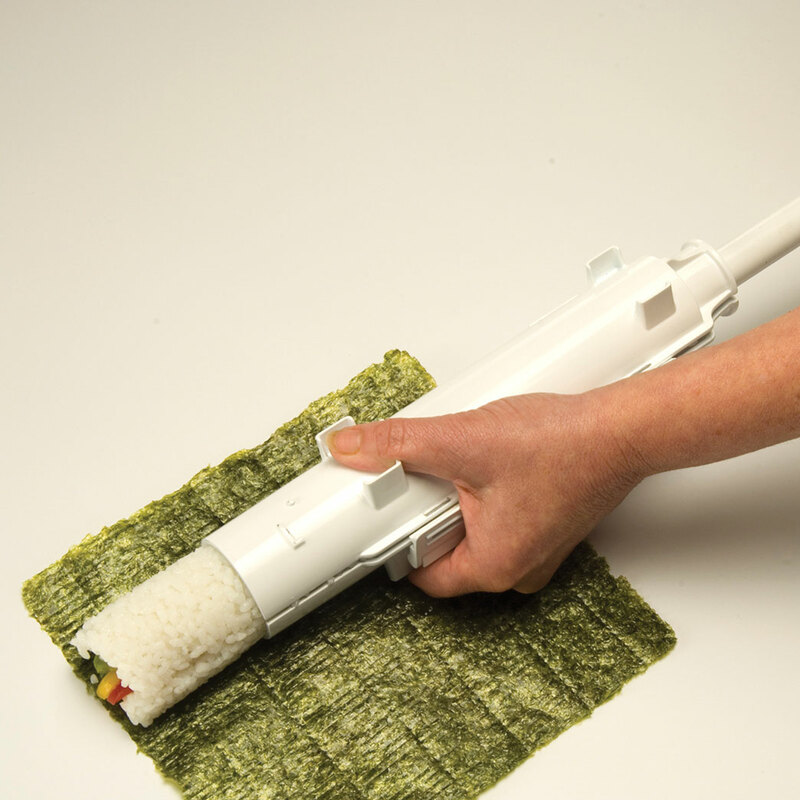 Here's an answer to the question, “What do you want for Christmas?” that you've probably never heard: "Sushi bazooka." While that sounds like a Mad Lib or your coworker’s improv team name, it’s a very real product and it can be yours for less than $25. The Sushezi first hit the scene over eight years ago, the design of a New Zealander with the best of intentions and the worst of appreciation for proper technique. It poops out maki rolls with ease, and like those egg logs, they look as delicious as they sound. The device can also be used to make desserts, like fudgy cake rolls and other delicious treats that will share the same tube as your raw tuna. If somebody does end up gifting you one of these amazing little gadgets, at least you can spray paint is silver and pretend it’s a lightsaber. That’s something, right?